We believe that you must have been searching for reasonable answers to the recent Blue Man Scare Agenda. We know how it feels to be threatened by the side effects that relate to the use of certain drugs and as such we are here to answer you're urgent questions. We can confidently tell you that the whole Blue Man Scare Agenda is a groundless plan to ward you off from using colloidal silver. The fact remains that the chemicals present in most Nanoparticle Colloidal Silver products can trigger Argyria in people that are genetically inclined to having Argyria. Also, the MASSIVE nanoparticles that get stuck in the cellular membranes are the two largest reason for the cause of Argyria. Reading on, you will find that Argyria is extremely rare, and the scare campaign is unjustified. When you take a good look at previous reports, it is clearly evident to see that the Colloidal Silver industry is rife with Paid Shills who create false information to mislead people, another good example of that is the most recent U.S. Election for POTUS in 2016. Today, pharmaceutical corporations spend thousands of dollars to discredit colloidal silver to keep pharmaceutical drugs at the forefront, and not dietary supplements. The more sick and unhealthy people are the more money they make as well as the doctors, and well-organized hospitals that overcharge the insurance companies and are rewarded with many perks and incentives to promote their products. If you research and study our website, and you will understand that our Atomic Particle Colloidal Silver is 100% natural, meaning that they are not made with any chemicals from start to finish. We have consistent particles sizes hundreds of thousands of times smaller than nanoparticles. Moreover, they are way too small to get stuck in the membranes. Apart from these, if you take your time to study all the information provided on our site, you will clearly understand why we meet and exceed all known standards that apply to other nanoparticle products. You will definitely see why there is resistance to our Atomic Particle Colloidal Silver Products by pharmaceutical companies as well as competitors in our industry, and that is because THEY WORK. 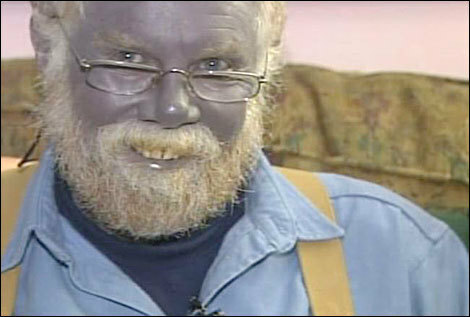 He shamelessly admitted to creating his blue skin condition by producing his homemade silver compounds that were saturated with chemicals that are capable of causing Argyria. Then he intensified the blue color by going under a tanning bed for hours every day until he achieved his wanted blue color. The loss of hair, as well as whitening of his hair and beard, resulted from the use of chemicals that have been reported to cause gray hair and even hair loss. According to the FDA, most colloidal silver manufacturers use chemicals to produce their colloidal silver. It is also noteworthy to mention that the nanoparticles are too large and they can get stuck in the cell membrane, and they may also block the flow of nutrients to the hair follicles. For over 165 years, there have only been three prominent pictures of people with this rare skin condition. One of them happens to be a man known as Paul Karason (pictured above). It is, however, noteworthy to mention that the other two people have no documented medical reports that attest to the claim that silver was the cause of Argyria. Paid Critics (Shills) have been known to take advantage of the gullible by promoting these pictures which in turn turns them away from making use of colloidal silver. So, according to Paul Karason it possible for YOU to force the Blue Effect on yourself but with extreme conditions. They are known to come from the Fugate ancestry and have a genetic condition known as methemoglobinemia. In the case of this family, The condition is considered natural as it was passed down through a recessive gene and it became more evident through intermarriage. The Fugates of Kentucky has been known to have blue skin for decades as the condition was genetic. Hence, this fact refutes the industry false claims since it clearly proves that you have to be genetically altered to have blue skin. Generally speaking, Argyria is also known as Methemoglobinemia. It usually takes a chemical disturbance to trigger the blue skin condition. It is also clear to see that Argyria is a very infrequent skin condition that has been known to affect very few people that were most likely genetically susceptible and allergic to chemicals that cause Methemoglobinemia. THE BIG QUESTION: IS ARGYRIA CAUSED BY THE INGESTION OF COLLOIDAL SILVER? The use of silver to treat various sicknesses and diseases dates back to 1850. However, the name of the solution was not known as colloidal silver back then, but it was known as Collargolum. Since colloidal silver has been used for over 165 years with little to no side effects, it cannot be said enough that these three incidents warrant ostracizing colloidal silver from the group of healthy supplements. It has been stated that over 23,000,000 people have been reported to use colloidal silver. If you were to consider the number of years that have transpired since 1850 until today, then calculate the billions of people that have come and gone. Compare that to the few declared cases of Argyria, you'll quickly see why the FDA has not outlawed colloidal silver, it's simply not as dangerous as the paid shills claim. With all these evidence it is obvious to see that these false cases have been intentionally propagated to keep you from the truth. Large pharmaceutical companies will surely say and do whatever they deem necessary to prevent you from discovering the amazing benefits of pure colloidal silver. Right from inception to date, there have been no reported cases of death caused by the ingestion of colloidal silver. If Colloidal Silver were a real threat, you would see blue people on every street corner, and you would have about 3.8 million people living with Argyria. If Colloidal Silver were as dangerous as claimed or promoted by the paid critics, there Should be thousands of blue people in many hospital rooms right now! As a consequence, you'd see it reported by every major news network and it would have been banned by now. But it's not dangerous, and this blue hoax is just way overblown. The Scare Campaign Tactics only benefits Corporate Pharmaceutical Giants. If you study our website carefully, you will find that it's the conventional Low PPM nanoparticle and Ionic Silver that could cause the Blue Skin Condition. 1. Most nanoparticle products are unstable, and the particles can range from tiny to gigantic. The large particles are the ones that get stuck in the kidneys as well as in the body's cell membrane. 2. The presence of chemicals in Low PPM colloidal silver may accelerate the chances of getting the Blue Skin Condition. 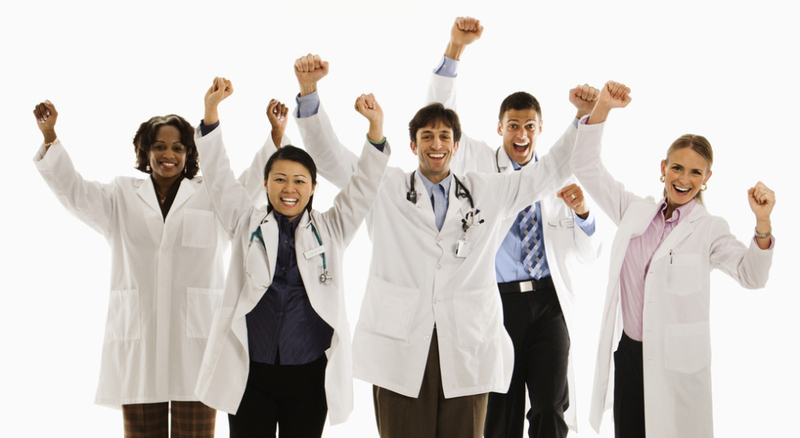 if they achieve success with that, then Americans will be at the mercy of Giant Pharmaceutical Corporations. But you have a voice and the ability to choose! Stand Up to Big Pharma, everytime congress wants to make a law to chip away at our right to choose how we should take care of our bodies, please, write your Congressman, write your Senators and let your voice be heard. In the meanwhile, get the most natural if not organic Colloidal Silver in the world. Packed with High PPM of Atomic Particles that can never get lodged in the kidneys, or organs, but may penetrate into the heart of those nasty pathogens that are eating you from the inside out! The Rice University Studies prove that Nanoparticles Do NOT Work, it's smaller particles that do work. United Kingdom Studies determine that silver kills cancer cells better than Chemotherapy! University of Nuevo Leon Mexico Studies conclude that AG Kills this?